Japan has brought the world some truly delicious treats, but one of the best of all has to be meron pan (melon bread). We know it tastes good, but how was it invented? And why is it called that? 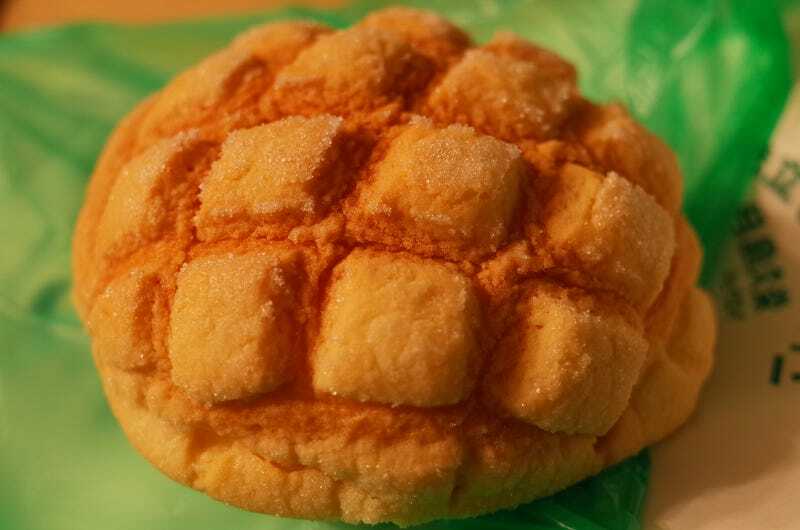 Typically, melon bread is fluffy bread with a sugar-covered cookie-type top crust. The exact origins of melon pan are unclear, and the meaning of its name isn’t certain, either. One story says that melon pan was first invented in 1910 after Japanese businessman Okura Kihachiro brought an Armenian baker named Sagoyan to Japan, where he apparently made the bread, originally basing it on a French galette. Sagoyan had previously worked for the Romanovs and at the Imperial Hotel in Manchuria. This origin tale is not confirmed, however. Melon pan certainly has its roots in what’s called kashi pan in Japanese, meaning “sweets bread.” As Nipponia points out, kashi pan really started in 1874 when a Tokyo baker named Kimura Yasube came up with anpan, a bread stuffed with sweet adzuki bean paste (an). By 1900, Yasube’s bakery was making jamu pan or “jam bread.” Four years later, kurimu pan (bread stuffed with custard cream) was developed at another Tokyo bakery, and Japan’s kashi pan revolution was in full effect, and the birth of melon pan eventually followed suit. Melon pan can come in different shapes. In Hiroshima and Kobe, there is melon pan that looks more like a rugby ball—or what’s known as an oriental melon (or Korean melon). Looks odd, no? For some people in Japan, this is what proper melon pan looks like. More on that later. But first, where did the name “melon pan” come from? The most common explanation is that the bread’s shape and the grooved crust looks like a musk melon’s skin. Hence, melon pan. The bread typically does not taste like melon, but rather sweet cookies and buttery bread. However, there are melon-flavored versions. However, as website Moonmuffin points out, kashi pan is typically named after what’s inside of it. So, anpan is called that because it’s filled with an (sweet adzuki bean paste) and kurimu pan is filled with kurimu (cream). But melon pan is not filled with melon! The most plausible theory could be that melon bread was created to look like musk melons, which became luxury fruits in the first part of the 20th century in Japan. By making bread that looked like these expensive fruits, bakers could make bread with a ritzy image. It was merely a sales tactic. Here is a “Sunrise Melon Pan” with Hokkaido melon cream, covering both bases for less confusion!